We are trailer manufacturers here for the fleet owners, trucking companies and owner operators. Extreme Trailers, LLC is not your everyday trailer manufacturing company. We are the game changers looking for customers who won’t settle for second best. We are the premier manufacturers of industry leading products for the commercial trucking industry with our industry best tare weight flatbed trailers, step deck trailers, multi-axle trailers, dump trailers and more. We are changing the way customers think about doing business. Extreme Trailers – we are Innovation Moving Forward. When you’re hauling heavy, you’ll want a trailer that handles big payloads at the lightest tare weight on the market. That’s Extreme Trailers, LLC. The leader in the industry for lowest tare weights and strongest decking, our patent-pending, engineered safety and maintenance features are designed to increase your bottom line. Our patented design removes 1,000 lbs. to 1,800 lbs. depending on application. Whether you need a tandem axle, multi-axle, B-Train trailer or a unit that meets Canadian SPIF requirements, our platform trailers give you the flexibility you want in a unit. We are setting a new standard for long life and low maintenance. Extreme’s Step Deck (XS Series) trailers are the lightest and strongest on the market. Available in standard lengths from 48ft to 53ft, we also offer options for your special applications that include 28ft, 32ft, 45ft and 51ft lengths. Our patent-pending design, the lightest trailer on the market, reduces tare weight by 1,000 – 1,600 lbs. and boasts 35%-50% stronger decking. When you add up reduced tare weight, reduced maintenance, reduced downtime, and better back hauls, you know it’s more profit to your bottom line. When you’re hauling heavy, you’ll want a trailer that handles big payloads at the lightest tare weight on the market. The Extreme Trailers patent-pending, engineered safety and maintenance features are designed to increase your bottom line. 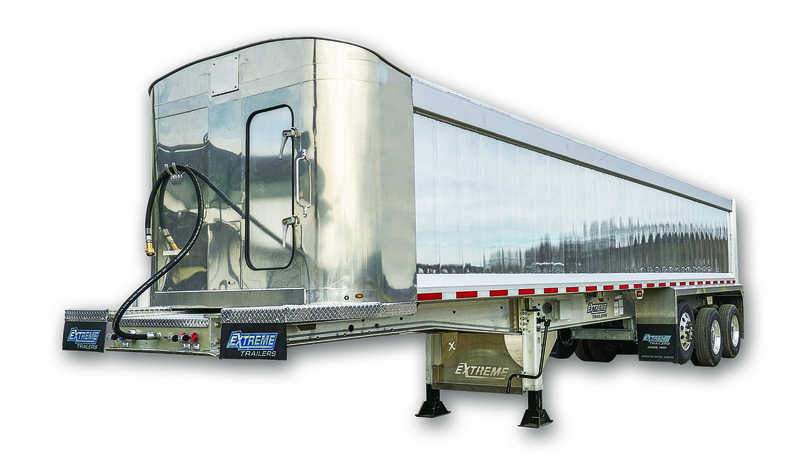 Regardless of your needs for a tandem or multi-axle trailer or Canadian SPIF requirements, the Extreme Trailers XD series gives you the flexibility you are looking for in a unit.